Stillman Bank has recently added a key member to its successful team in northern Illinois. 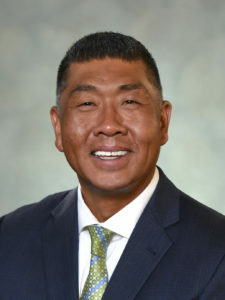 Jim Wang has joined Stillman Bank as Vice President Commercial Lending. With over 24 years of banking experience, Wang will primarily be involved with new business development and commercial lending. He will work out of the Rockford office located at 8492 East State Street. “Stillman Bank is pleased to welcome Jim Wang as Vice President. Through his industry expertise, vast community relationships, and strong client advocacy, he has earned the respect of the Rockford business community. We are pleased that he will now leverage these qualities on behalf of Stillman Bank and its customers,” said Ed Munguia, Executive Vice President. A Rockford resident for over 35 years, Wang has been involved with a variety of community organizations. He has served on the boards of Healing Pathways Cancer Resource Center, the Rockford Register Star, Next Rockford, and Rockford Area Economic Development Council (RAEDC). He has participated in events for Transform Rockford and the Rockford Chamber of Commerce Manufacturing Council and volunteered extensively for United Way, Salvation Army and Rockford Rescue Mission. To learn more about Stillman Bank’s commercial services, please click here. Jim Wang can be reached directly at 815-332-8845 or jimw@stillmanbank.com.